Arsenal made four major signings this summer, with Arsene Wenger eventually addressing key areas in his squad that needed strengthening. The Gunners were quick to start their business with Granit Xhaka arriving from Borussia Monchengladbach prior to Euro 2016, and that seemed to be an early statement which suggested that they were ready to act quickly and decisively in the market. However, supporters were forced to wait until the last week of the window to see Shkodran Mustafi and Lucas Perez arrive from Valencia and Deportivo La Coruna respectively, while Rob Holding and Takuma Asano also penned deals with the club. Given the injuries sustained by Per Mertesacker and Gabriel in pre-season, Wenger needed to bring in a new central defender. He eventually did that with Mustafi, and the 24-year-old will now hope to form a formidable partnership with Laurent Koscielny in the heart of Arsenal’s defence. Further, Wenger desperately needed another forward capable of scoring goals consistently, and with Perez finding the back of the net on 17 occasions in La Liga last season, he’ll hope the Spaniard can deliver that for him. 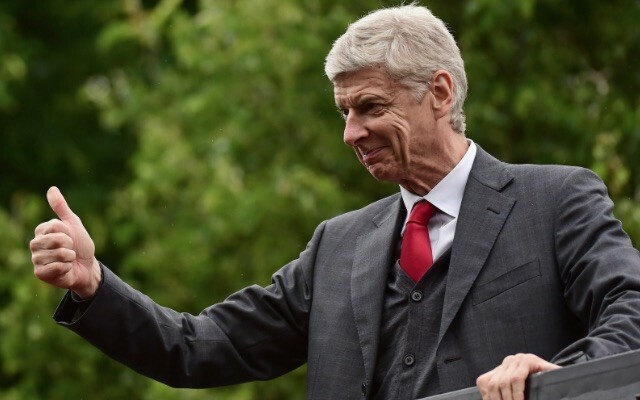 Overall, Wenger has signed players in positions that they needed to address, and from that perspective it’s been a successful transfer window. The Gunners don’t get top marks though as they could have arguably pushed to land a world-class striker earlier in the window to finally put that contentious matter to rest, while Serge Gnabry and Joel Campbell have left when they could have arguably been better options compared to the likes of Theo Walcott. Wenger has continued to receive significant criticism throughout the summer, and the opening weekend loss at home to Liverpool didn’t help matters. However, with Mustafi, Xhaka and Perez now forming an integral part of the team moving forward, they’ll hope to build on the win over Watford prior to the international break and put together a strong run of form. If his performance at Vicarage Road is anything to go by, Xhaka will very quickly become a favourite with the Gunners faithful as the Swiss international was certainly one of the star performers in the game and will hope to be an immovable fixture in Arsenal’s midfield this year. Transfers in: Granit Xhaka – Borussia Monchengladbach, Rob Holding – Bolton, Lucas Perez – Deportivo, Shkodran Mustafi – Valencia. Transfers out: Serge Gnabry – Werder Bremen, Joel Campbell – Sporting Lisbon (loan), Calum Chambers – Middlesbrough (loan), Jack Wilshere – Bournemouth (loan).